At last, my first album ” The Window” is being re-released. It has been digitally remastered by the great Gerry Putnam of NH. The new cover work is being done by the equally great Robin Boyd, also from my home state and town of Hooksett, NH. This album has so many memories. I wrote it while going through a horrible divorce at the age of nineteen. I also lost my dear mother to cancer within a month of its recording date of Jan 11, 1994. There are songs of love and hope, as well as sad and downright angry. I call this my “Raw” album because I was so young as a composer…..it is still my wife’s favorite album; (My new wife of 16 years, the darling Caroline.) She met me four months after it’s first release in April 1994. The CD release will be Sept 15th and it will be available everywhere CDs and downloads are sold shortly after. I will begin posting a song from this album per week with an explanation of it’s background. I plan to concertize this with a small tour as well, so stay tuned in!! 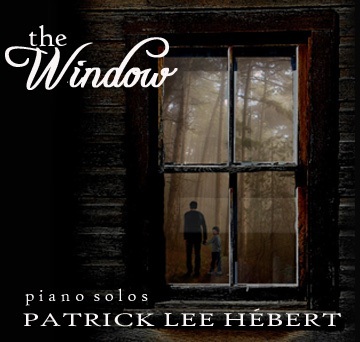 Also, if you like Pandora radio……do a search for Patrick Lee Hebert there….I was just accepted and am going thru the process. It will say ” no we don’t have him ” but it will make them have me sooner by search requests.